The Sacramento Police Department recently took delivery of the first Bell 505 configured for law enforcement operations. 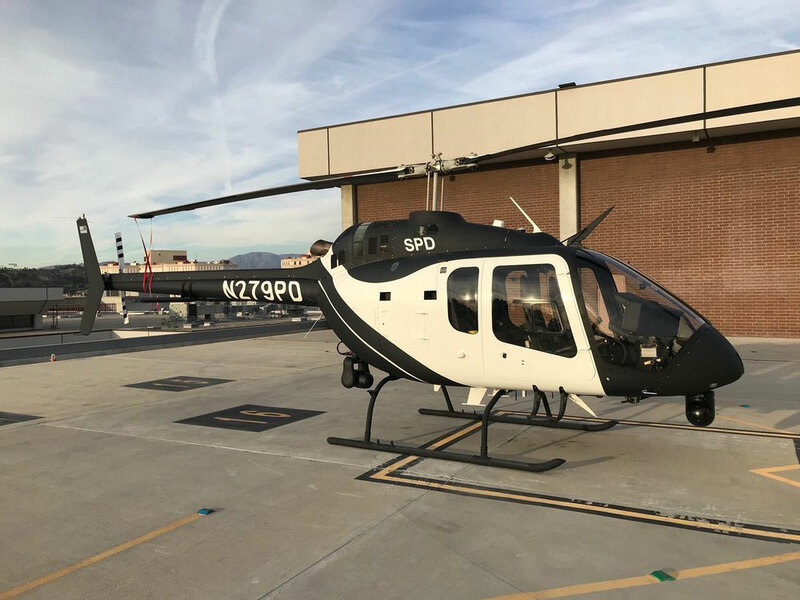 Bell has delivered the first law enforcement-configured 505 Jet Ranger X light single helicopter to the Sacramento (California) Police Department. The aircraft is equipped with high skid gear, forward/aft hard points for mounting equipment, a 15-inch monitor with moving map system, loudhailer, MX-10 EO/IR Sensor, and Trakka Beam Searchlight. “The ergonomic seats allow the pilot and tactical flight officer to fly for hours comfortably, and the large windows allow for greater visibility that makes searching for suspects and missing persons easier,” said Sergeant Randy Van Dusen of the Sacramento Police Department’s Air Operations Team. As equipped, the helicopter cost approximately $2.8 million, with associated police equipment accounting for $1.1 million of that. The majority of the purchase price came from state grants and more than $400,000 from federal and state asset seizures. The department currently operates two military surplus Bell OH-58 helicopters. The Stockton, California police department will also soon receive a new 505 and is slated to begin flying it in March. Its helicopter is comparably equipped and priced. Stockton received a $3 million state grant toward the purchase and operation of the helicopter. It estimates associated initial annual operating and fixed costs for the 505 at $1.7 million based on flying 16 hours per week.